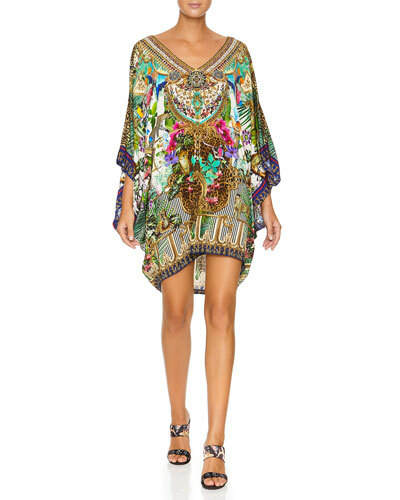 Founded in Sydney, Australia by designer and artist Camilla Franks, Camilla is a collection of clothing, kaftans, bathing suits, and beachwear featuring exuberant prints in bold jewel tones and draped silhouettes that define a certain lifestyle. 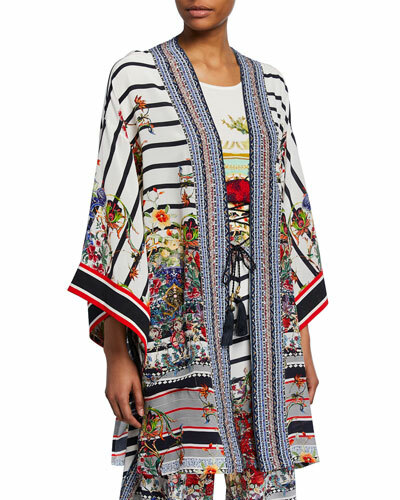 The designer’s background in theater costuming is apparent in her dramatic looks, including printed silk dresses to coverups worthy of a day under the cabana. Camilla swimsuits are cut to flatter all types of bodies, made from high-quality materials that keep their shape and never budge. Each piece in the Camilla collection tells a story of adventure and decadence. 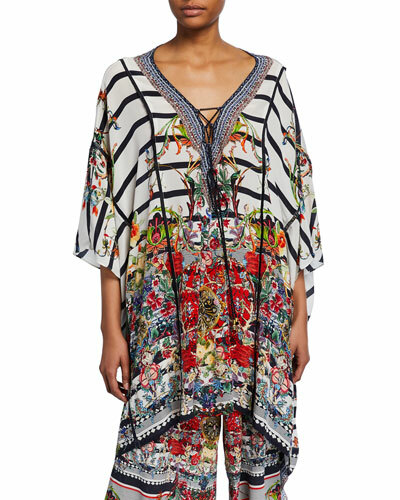 Shop bathing suits, coverups, and dresses by Camilla at Bergdorf Goodman. Onia "Kelly" one-piece swimsuit in textured microfiber with lily floral-print. 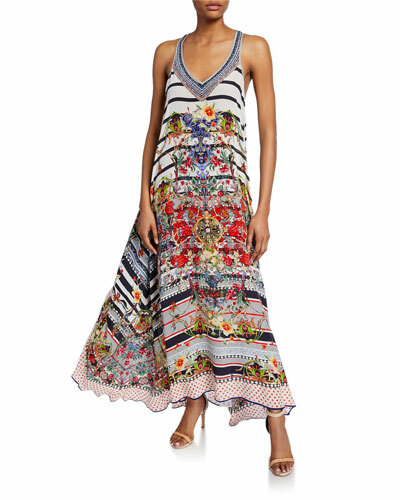 Scoop neckline; deep scoop back. Thin straps. Hidden seaming. Fully lined. Moderate seat coverage. Nylon/spandex. Hand wash. Imported.